If you or a loved one has recently been diagnosed with Mesothelioma, always remember, you’re not alone. It’s not a life vs. death fight with this terrible cancer. There are many support groups to help you cope with your problem. Of course there will be lots of grieving, sadness and struggle, but there are many people you can reach out to for help dealing with this catastrophe. There’s foundations you can reach by phone, the internet, in person, whatever works best for you. There’s no point in just moping and grieving until the very end. Believe it or not, there are people out there just like you, in your exact situation. Just because they aren’t in your shoes doesn’t mean they don’t know how you feel and haven’t been where you are before. In fact, these support groups can give you a sense of relief, warmth and happiness. It’s important to have that one person who you can talk to and instantly feel better about life, or really anything. If you don’t have someone like that, these support groups can help you find that exact person you need to make you simply feel better. There’s absolutely nothing wrong with choosing a alternate housing option for individuals with cancer. This will ensure that they are in good hands, and surrounded by people who want them to feel good and know how to make them happy. Besides friends and family, it really is amazing how just the presence of another person can really make a difference in someone’s life after receiving such terrible news. Care centers are also especially helpful for patients who are forced to travel out of state for their treatment, which really isn’t fair at all. They are made and designed specifically for patients who are in need of help from others to feel better about themselves. These care centers include full living arrangements as well such as a kitchen, shared living rooms with other patients and laundry facilities. These care centers are generally even cheaper and nicer than staying at a hotel, which is how it should be for someone who is forced to cope with mesothelioma. In addition to care centers, there is also multiple forms of counseling. These can be made up by either hospitals or a side party program designed to give patients the highest support for their needs. Even if it isn’t a counseling session in person, over the phone still makes someone feel good to hear their loved ones voice or a professional counselor (someone trained to make people feel better). A lot of these professionals are trained to be the best counselor they can be, meaning they are available 24/7 to their patients. 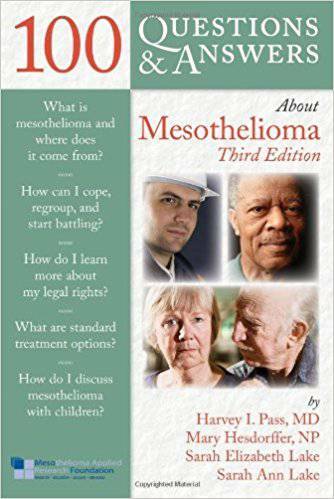 Get Your FREE Mesothelioma Booklet! Our complimentary booklet about mesothelioma is available to you for absolutely free. We want to provide you with as much information as possible regarding mesothelioma, information on asbestos, treatment options, and support information. Let us help you and your family as you face the challenges of a mesothelioma diagnosis.